I’ve always believed that presentation of information is as important as the content itself. Let’s take an example of visiting a restaurant for dinner. Let’s visit three different restaurants: A, B, and C in three consecutive nights. 1. In the first night, you visit A. The quality of food in A is great but the dishes are dirty, the table-cloth has spots and the waiter face is almost like he is about to kill somebody. In other words, content is great but presentation is not. Will you visit such a place again? 2. In the second night, you visit B. The waiters at B are extremely polite and helpful, the dishes looks great and there is great aroma in the place. However, the food tastes really bad. In other words, presentation is great but content is not. Will you visit such a place again? 3. Disheartened by your last experience, you almost drag yourself to visit C. The food smells great, the waiters are professional and helpful and they even suggest popular dishes and gave you a first visit discount. The food is awesome and you almost ate your fingers while eating that apple pie. In other words, presentation is great and so is the content. Will you visit such a place again? When you write information, you need to write great content and also need to make it look attractive so that you get repeat business, just like the third restaurant C did. Having more (or less) information than required is probably the top reason of inefficient writing. Writers often do not equate audiences needs and create documents which have either too much or too less information which does not meets their audiences requirement. Fault does not entirely lies at writers end though. Parroting Engineers and Management folks often cause this problem. Being an Engineer myself, I hate to criticise Engineers and other SMEs for adding too much information in the documents. As a writer who has managed several documentation projects, I hate to criticise people from higher management to offer very less information to a writer. When a writer performs a cosmetic surgery of the source information received by SMEs and management, S/He fails the purpose of writing an efficient document. Another prime reason for inefficient writing is to use a confusing structure in their documents. Though by adopting a structural writing paradigm like DITA or Information Mapping, they can solve this problem to some extent but writers still prefer to continue writing their brilliant work in a confusing structure. As a result, readers get confused instead of getting informed. With a desire to provide more information, writers often add irrelevant information in their writing without thinking if the new information will be useful to their audience or not. I often divide the information I collect for my work into three mental zones of Must Have, Good to Have and Not Required blocks and weed out the not-required and parts of good-to-have information. This makes the document a bit more efficient and easy to read. People often forget that terms which makes perfectly sense to them may not be as clear to others. For example, the term double-double is commonly used in the famous Canadian coffee stores of Tim Hortan which means two portion of sugar and two portion of milk in the coffee. Now imagine using the same term in a cafe in France. Will it convey the same meaning as it does in Toronto? Another drawback of using jargon is that people may understand it differently based on their perceived context. For example, let’s take example of STC. While for most of technical writers out there, STC brings back images of conferences and meetings of technical writers. However, if your audience is not technical writers then STC could mean Saudi Telecom, The Society of Toxicology of Canada, or The Saskatchewan Transportation Company based on their location. Choose your words carefully! A lot of writers do not believe in the saying “A picture is worth 1000 words” and often write long paragraphs full of numerical data that could be easily replaced by pie charts. Why write 20 steps when a flowchart could explain the same level of information in just one diagram? People often equate conciseness to short sentences. However, short sentences itself doesn’t guarantee conciseness. The sentence may be short but still unclear. Technical Writers value conciseness since it reduces reading time and often results in lower production and translation costs. Having more or less than adequate words is another common reason for inefficient writing. As a writer I often struggle to make my writing free of these seven writing sins. I’d love to hear from you about effective ways of removing these seven reasons of inefficient writing from a document. I’m awaiting your comments (and so does the waiters and staff at Restaurant C). Hi Gurpreet, This is one more ‘HIT’ from your writing pen. I would like to contribute to the sixth point. I use empty rectangles with colorful outline to highlight whichever part of the picture or diagram I want user to concentrate in. Even a numbering to these rectangles would correlate with flow charts or procedures with bullet points. No longer sentences and paragraphs writing…. As far as effective ways to overcome these 7 sins is concerned I think your “Must Have, Good to Have and Not Required blocks” technique should work out the best out of other 6 sins. Thanks for sharing a valuable tip about using empty rectangles. I have used similar techniques (Arrows pointing to the section, blurring the entire background etc ) to focus on certain part of the image and it usually worked well. To your list I would also add “Information is hard to find.” Item #3 covers this in part, but today structure is less important than things like metatagging and search-engine optimization. It’s interesting how the Saskatchewan bus company uses the same font in its logo as “our” STC does. Thanks for sharing the dictum, Larry. I didn’t realized that the ‘STC’ (Saskatchewan Transportation Company) and the other ‘STC’ (Society for Technical Communication) uses the same font in their logo. if yuo look at it, both STC are in the transportation business. One transport ideas and the other one transport people who generate those ideas. This is my first visit your site. Your article seems to have good information, but you lost credibility when you failed to proof your own writing. Thanks for your feedback. I often write between my classes and often do not have the time to make my blog posts perfect and have no intention to do so in the future as well. I blog because I consider it as a hobby and put in few hours per week to pursue it. If I put more hours then it will turn into work and which is a big NO-NO for me. I could, of course, reduce the imperfection in my blog articles if I put in more hours and start proofreading every article several times, just as I do for any document at my work. I live with the fact that my writing is not perfect and I feel great to be imperfect. Please do keep providing your valuable opinion. I appreciate it. I am all praise for this article of yours,as the seven ineffeciant causes briefed in the article proves to be the factors to be kept in mind while penning any technical document.I would like to place my opinion about the fourth cause.I think that ,if we can understand our target audience very well and the information we have to convey ,then there’s no question about writing irrelevant information. 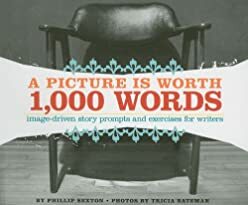 Another point I would like to add ,is the fact that ‘a picture is worth a 1000 words’.Absolutely true,because the user will get tired of reading long paragraphs.So our information has to be clear,concise and precise. Keeping in mind all these 7 factors will definately give rise to a crystal clear and accurate technical document. Excellent article. I have suffered from the above seven sins since forever. I always felt that all novels were too long, and I wanted to free myself from the myth that only 500 page novels were worth reading. That’s why I love to write short stories. And your post has reminded me to keep an even closer watch on my writing. Thank you.